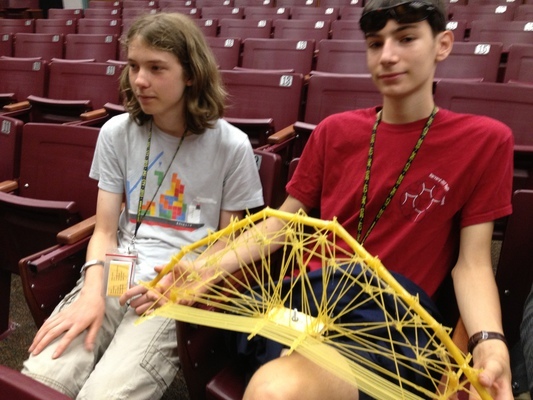 My favorite part about the engineering program at CTY was probably the bridge-building project. 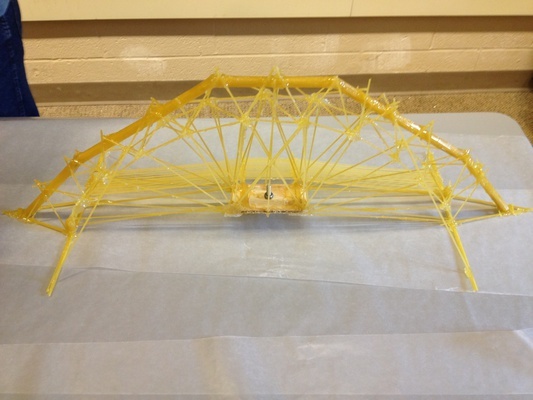 We worked in three-person teams to try to build a bridge out of dry spaghetti and epoxy that could hold as much weight as possible, while conforming to limitations on the bridge’s weight and height. My favorite part of that was probably the team aspect. 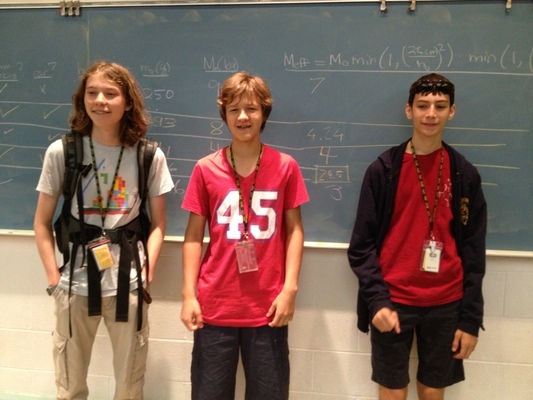 The three of us had to work together under a short time constraint (15 hours or so) to find the best solution. The eventual design was a combination of ideas that we’d all thought up. 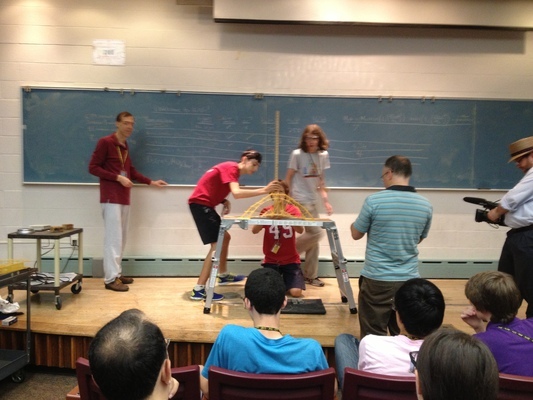 The idea to transfer all the compressive forces onto a strong backbone, the design we used to make that happen, and the external roadway we made to satisfy the requirement to have one were all thought up by different people. Still, we managed to put it all together into one design, which we built. 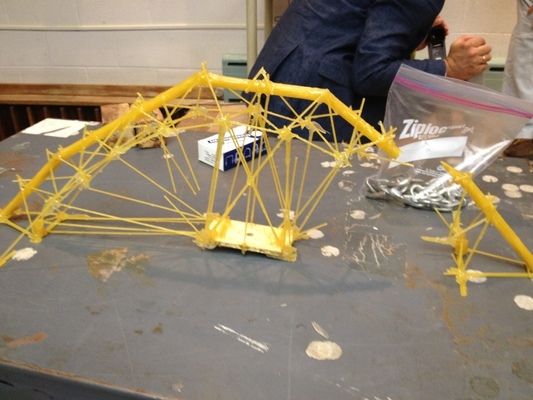 When we tested it, we were proud to lean that it carried more than twice as much weight (24.5 kg, or 54 lb) as the bridges built by the other groups we were working alongside, and tied the program record. 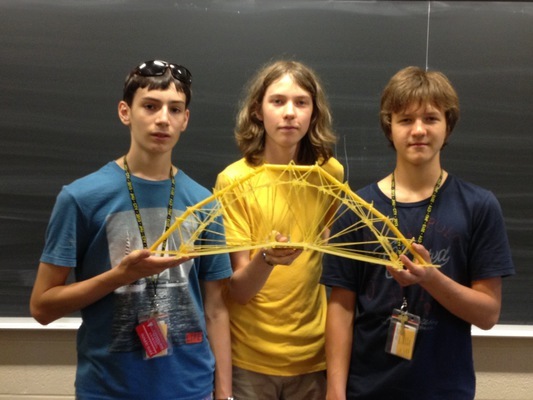 I found the whole program really fun, and would want to study engineering even if our bridge hadn’t won.